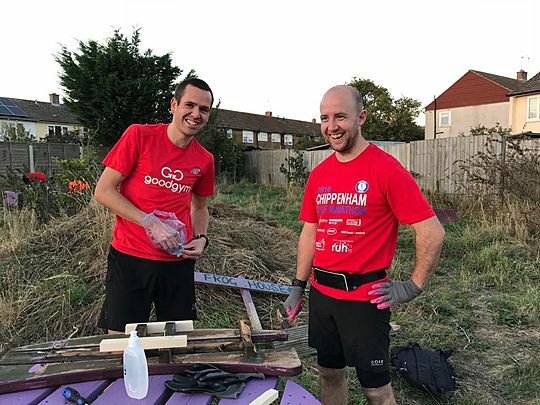 GoodGym | Let’s meet the Swindon Run Leader Squad. 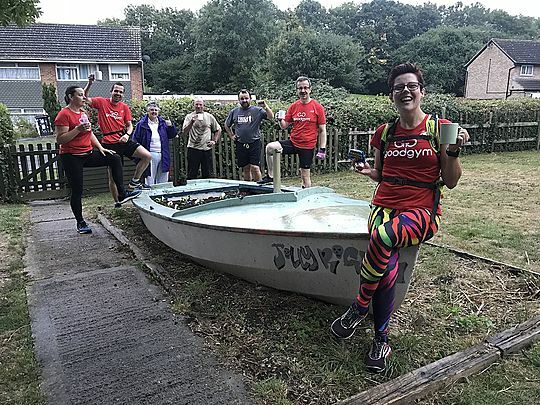 GoodGym Swindon in August, and has been off to a flying start. Tasks have included gardening in Penhill Haven, shed painting at a nursery, and litter picking. Planned tasks include painting at the local community centre. 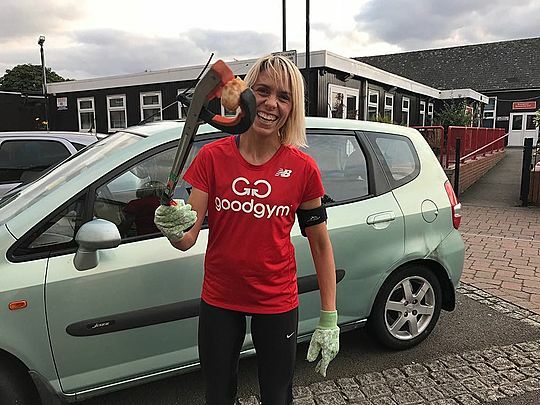 Emma the trainer for GoodGym Swindon, she is supported by three trusty run leaders; Lewis ‘Backmarker’ Bird, Paul ‘the Scientist’ Bonner and Emily ‘Crazy legs’ who all bring complimentary elements to the Group Runs. In this article we discover what makes them so passionate about running and being a part of GoodGym. Lewis ‘Backmarker’ Bird is evidently the guy who doesn’t leave anyone behind, in true GoodGym fashion. Lewis will run at any pace and keep everyone motivated to get to and from the task. Paul ‘the Scientist’ due to his doctorate in Chemistry got involved in GoodGym for his love of running which was ignited by his running obsessed wife. 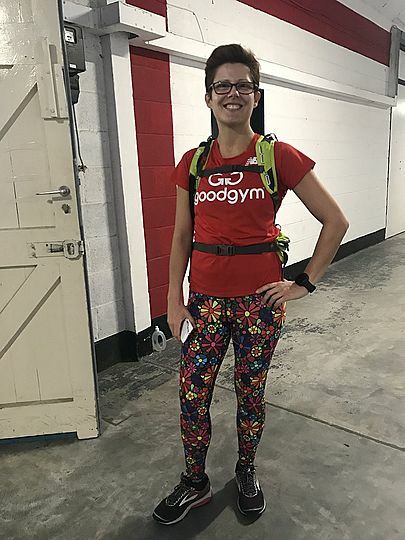 And Emily ‘Crazy legs’, due to her vast collection of colourful leggins, got involved in running through catching the running bug off her running obsessed personal trainer, which she hopes to pass on to all GoodGym runners she comes across. The Run Leaders have all had different monumental moments in their running careers. When reminiscing with Paul he described the time he showed epic determination, from collapsing during his first marathon, to smashing his second marathon in Barcelona, ‘it felt so good powering to cross over the line’. Similarly, Emily has struggled with running previously, but doing the half marathon in Cardiff allowed her to find peace of mind and revel in the joy of movement because she ‘bloody loves running’ and you can still catch her with a smile on her face today. If you happen to be out and about in Swindon expect to find Paul's jogging around Lydiard Park and Emily running next to The Ridgeway, taking in all the heritage sites amongst the rolling countryside. The enthusiasm at each GoodGym session is contagious. Paul is particularly keen on adding sprints to the sessions, whereas Emily is keen for some chats along the way and possibly some cake after the session! All the run leaders expressed a passion to help people ‘smash their personal best’s’, so if you have a goal in mind that you want to achieve, you can have your pick of any Run Leader and they will help you achieve this. In light of the recent Run And Talk event Emily is keen to motivate and support everyone both mentally and physically. GoodGym is all about creating an environment in which people feel secure in and where they can exceed. Finally we asked the Run Leaders ‘what’s the best thing about Swindon GoodGym area? They all responded that it’s about the community and friendships that are built in Swindon. Emma, Lewis, Paul and Emily encourage everyone to give GoodGym a go and even some quick GoodGym Tourism to Swindon on a Tuesday evening if anyone is around. You can also find out more about Emily on ‘Emily’s Run Along Gang on FB’ or join her at fortnightly running improvers group for parkruns for an extra running fix.